“He was where he wanted to be; next to his troops, on the ground, in the fight,” said Maj. Kenneth Ratashak, Executive Officer of the 508th Special Troops Battalion, 82nd Airborne based out of Fort Bragg, North Carolina, in a statement describing his fellow paratrooper. 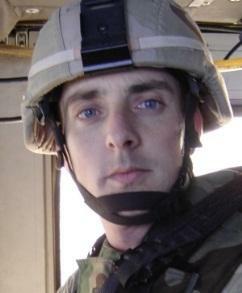 Bauguess, 36, from Moravia Falls, North Carolina, died from wounds suffered due to enemy small-arms fire on May 14, 2007 in the town of Teri Mengel, Pakistan, an area that had been experiencing severe border fighting. Before his most recent deployment, Bauguess and his family assisted with the filming of videos used to help prepare other military personnel and their families deal with overseas deployment, service and being away from a loved one. He was a Bronze Star and Purple Heart recipient.